We may see different compilers for one programming language. Among them there are few efficient and best compilers that we can use without any problem. A compiler is a computer program that transforms source codewritten in a programming language into another computer language which have binary code (0, 1) (means machine language). We will know about one of the efficient compilers for programming language C, Java, HTML, Python. Code::blocks - It refers to an open source, cross platform and extensible compiler for C. The best feature of this C compiler is that as per on your need, it can be extended with the help of available plugins.Its latest version is 13.12 . 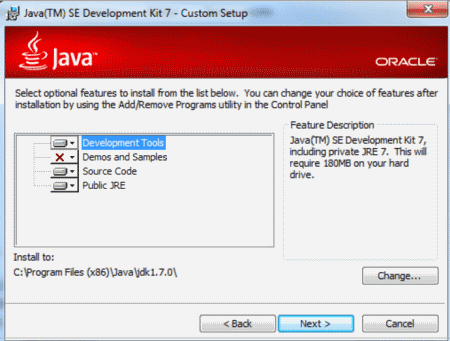 Java Development Kit – It is a Java IDE for programmers and software developers. Without this freeware, we cannot use java programming compiler in our computer. It is a must for Java and useful too. It creates an integrated development environment for creating cross platform Java applications for mobile, web, enterprise and desktop. Its main features are Java debugger, dis-assembler class, javap, java byte code compiler, javac etc. You usually can use net beans or eclipse compiler for the Java programming language. Here we are talking about Eclipse. Eclipse is a free Java IDE for developers and programmers. It provides various types of packages for software development. HTML or Hypertext Markup Language is used to create web pages. A web browser can read HTML files and compose them into visible or audible web pages. You can use Notepad++, Firebug (in Firefox) and sublime text (latest version 3). Notepad++ - supports tabbed file editing. It’s a notepad replacement with the ability to highlight and check code syntax for HTML. It's current version is 6.9.9.this notepad can be used for other languages as C , C++, PHP. Sublime Text -It is a cross-platform text and source code editor, with a Python application programming interface (API). It is very powerful and has many features. Python is powerful and fast, runs everywhere.it is a must for Python programmers. We can use PyCharm for Python. Compiler for C, Java, HTML, Python. We may see different compilers for one programming language. Among them there are few efficient and best compilers that we can use without any problem. A compiler is a computer program that transforms source codewritten in a programming language into another computer language which have binary code (0, 1) (means machine language). We will know about one of the efficient compilers for programming language C, Java, HTML, Python.